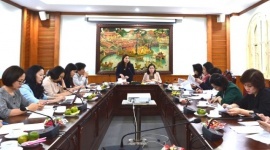 (LDXH) On March 27th, the delegation of Ministry of Labour, Invalids and Social Affairs (MOLISA) led by Deputy Minister Doan Mau Diep had a meeting with the Ministry of Labor and Social Walfare of Laos. In the afternoon, they visited the Orthopedic and Rehabilitation Center for wounded soldiers and disabled people 686. Participating in the delegation were Mr. Ha Xuan Hung, the principal of University of Labor and Social Affairs; representatives of Da Nang Orthopedic and Rehabilitation Hospital; experts from MOLISA and other related units. In the morning, Deputy Minister Doan Mau Diep and the delegation of MOLISA had a Ministerial meeting with the Ministry of Labor and Social Walfare of Laos in Vientiane. The delegates were divided into three groups of seminars to focus on three main topics: Labor and employment; human resource development; and cooperation in the field of social welfare. 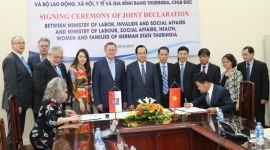 Accordingly, a series of issues raised by experts from both sides were considered as the working results of the Working Group on the implementation of the Vietnam-Laos Labor Cooperation Agreement; legal information about labor and employment of each country; cooperation on labor management and promotion of employment service system cooperation. 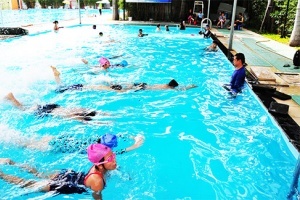 Participants also focused on the training of vocational teachers, technical and experience exchange between the Orthopedic and Rehabilitation Center for wounded soldiers and disabled people 686 and Da Nang Orthopedic and Restoration Hospital. At the seminar, the two sides listened to the report on the results of labor cooperation and social welfare in the period of 2017-2019, assessed the limitations and promoted the achievement in order to complete the cooperation program. Participants also discussed about cooperation direction in the period of 2019 – 2020 from the central to local levels, between the central and local levels of the two countries, especially the provinces sharing common borders. 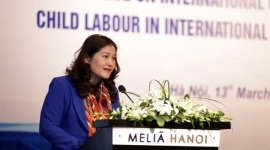 The contents of the seminar will be the basis for 6th Vietnam - Laos Ministerial Meeting on Labour and Social Welfare between MOLISA of Vietnam and Ministry of Labor and Social Walfare of Laos on March 28th in Vientiane, Laos. 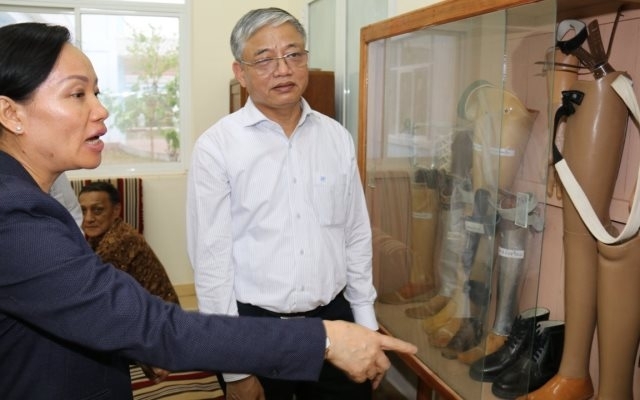 On the afternoon of March 27, the delegation visited and worked at the Orthopedic and Rehabilitation Center for wounded soldiers and disabled people 686 at Ban Con, nearly 80 km north of Vientiane. Accompanying the delegation was Laos Deputy Minister of Labor and Social Welfare, Baykham Khattiya. 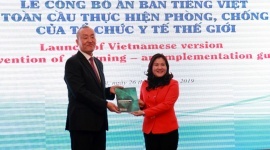 On behalf of officials and employees of the Center, Director Khamxay Xiaynhyan expressed her gratitude to the Government of Vietnam and Vietnamese people for helping to build the centre. In three years of operation, the Center has supported and helped thousands of Laotian war invalids and disabled people, especially those who lost their limbs due to remnants of war, and produced hundreds prosthetic limbs, crutches, orthopedic shoes for men and disabled people. 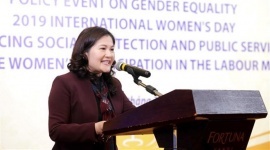 At the working session, Deputy Minister of MOLISA Doan Mau Diep thanked the staff of the Center for their endless efforts to serve war invalids and disabled people. 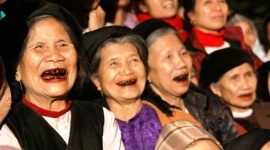 He said that this project expressed the concern of the Government of Vietnam and Vietnamese people to Laos people to support and soothe pain for Lao war invalids and disabled people.